At every election where a poll is taken, votes shall be counted by, or under the supervision and direction of the Returning Officer and each contesting candidate and his counting agent shall have a right to be present at the time of counting. The Returning Officer may allow such no. of counting agents per candidates so as to conduct the counting process in free, fair and transparent manner. Candidates and their counting agents. 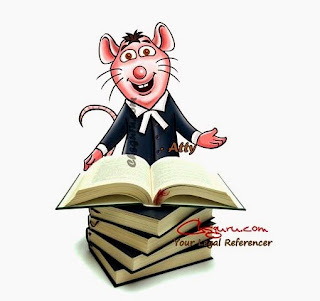 No person, who has been employed by the society or has been otherwise working for a candidate in the election, shall be appointed under clause (a) of sub-rule (1). The Returning Officer shall decide which Counting Agent or Agents shall watch the counting at any particular counting table or group of counting tables. Any person, who during the counting of votes misconducts himself or fails to obey the lawful directions of the Returning Officer, may be removed from the place where the votes are being counted by the Returning Officer, or by any police on duty or by any person authorized in this behalf by the Returning Officer. The Returning Officer may have the ballot boxes used at more than one polling station opened and their contents counted simultaneously. Before any ballot box is opened at a counting table the Counting Agent present at that table shall be allowed to inspect the paper seal or such other seal as might have been affixed thereon and to satisfy them that it is intact. The Returning Officer shall satisfy himself that none of the ballot boxes has in fact been tampered with. He shall not count the ballot papers contained in tampered box and shall follow the procedure laid down in Rule 51 in respect of that polling station. The ballot papers taken out of each ballot box shall be arranged in convenient bundles and scrutinized. if it bears a serial number, or is of a design different from the serial number or, as the case may be, design of the ballot papers authorized for use at the polling station. if it does not bear the mark which it have borne under the provisions of sub-rule (3) of Rule 43. Before rejecting any ballot paper under sub-rule (2) the Returning Officer shall allow each Counting Agent present a reasonable opportunity to inspect the ballot paper. The Returning Officer shall record on every ballot paper which he rejects the letter 'R' and the grounds of rejection in abbreviated form by means of a rubber stamp. All ballot papers rejected under this rule shall be bundled together. Provided that, no cover containing tendered ballot papers shall be opened and no such paper shall be counted. After the counting of all ballot papers contained in all the ballot boxes used at a polling station has been completed, the Returning Officer shall make the entries in a result-sheet in Form E-16 and announce the particulars. The Returning Officer shall, as far as possible proceed continuously with the counting of votes and shall, during any intervals when the counting has to be suspended, keep the ballot papers, packet and other papers relating to the election sealed with his own seal and the seals of such candidates or counting agents as may desire to affix their seals and shall cause adequate precautions to be taken for their safe custody during such intervals. The counting of votes shall be done by and under the supervision of the Returning Officer, with the assistance of such persons, as he may appoint, to assist in the counting of votes. After each ballot box is opened for counting clearly valid voting papers shall be separated from invalid and doubtful voting papers. The invalid and doubtful voting papers shall be submitted to the Returning Officer for decision. The valid voting papers shall thereafter be taken for counting and the votes recorded in favor of each candidate shall be counted with the aid of persons appointed to assist in the counting of votes. The Returning Officer shall allow the candidates and their counting agents, who be present reasonable opportunity to inspect all voting papers which in the opinion of the Returning Officer are liable to be rejected but shall not allow them to handle those or any other voting papers. The Returning Officer shall on every voting paper which is rejected endorse the letter “R”. If any candidate or his counting agent questions the correctness of the rejection of any voting paper the Returning Officer shall also record briefly on such voting paper the ground, for its rejection. After the counting of all voting papers contained in all the ballot boxes used has been completed, the Returning Officer shall cause to be sealed up in separate packets with a description endorsed on each such packet of the voting papers counted and that voting papers rejected. The Returning Officer shall, as far as practicable, proceed continuously with the counting of the votes and shall during any intervals when the counting has to be suspended, keep the voting paper packets and other documents relating to the election sealed with his own seal and the seal of such candidate or Counting Agents as may desire to affix their seals and shall cause adequate precautions to be taken for their safe custody. After the counting of ballot papers contained in all the ballot boxes used at all the polling stations had been completed, the Returning Officer shall prepare a consolidated statement recording therein the total number of votes polled by each candidate. If a fresh poll is held under Rule 54, the Returning Officer shall after completion of that poll, recommence the counting of votes on the date and at the time and place which have been fixed by him in that behalf and of which notice has been previously given to the candidates. The provisions of Rules 58 and 59 shall apply so far as may be to such further counting. Provided that, when an equality of votes is found to exist between any candidates either for the reserved or the unreserved seats and the addition of one vote will entitle any of the candidate to be declared elected, the determination of the person or persons to whom such an additional vote shall be deemed to have been given shall be made by lots to be drawn in the presence of the Returning Officer and the candidates who may desire to be present, and in such manner as the Returning Officer may determine. After such announcement has been made, a candidate or, in his absence, his election Agent may apply in writing to the Returning Officer for a recount of all or any of the ballot papers already counted stating the grounds on which the demands such recount with depositing amount with returning officer which he may deem fit. On such application being made, the Returning Officer shall decide the matter and may allow the application in whole or in part or may reject totally, if it appears to him to be frivolous or unreasonable. Every decision of the Returning Officer under sub-rule (3) shall be in writing and contain the reasons there for. Announce the amendment so made by him. Provided that, no steps under this sub-rule shall be taken on the completion of the counting until the candidates present at the completion thereof have been given a reasonable opportunity to exercise the right conferred by sub-rule (2). The Returning Officer shall then declare the candidate to whom the highest number of valid votes has been given as having been elected and certify the return of election in Form E-17, where the District Co-operative Election Officer himself is not the Returning Officer shall send signed copies thereof to the District Co-operative Election Officer. 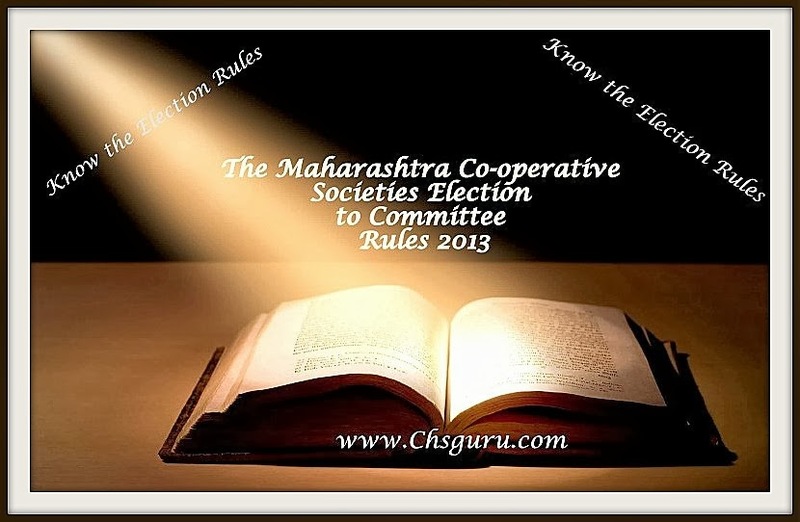 On receipt of the declaration, the District Co-operative Election Officer shall, subject to general or special orders issued by SCEA publish the names of all elected committee members by causing a list of such names together with their permanent addresses and the names of the constituencies from which they are elected on the notice board of his office and shall send a copy thereof to the registered address of the society concerned for affixing it on the notice board and also for its record. The District Co-operative Election Officer shall send a list of the elected committee members to the SCEA.